The emotions captured by the War of 1812: patriotic fervor, anxiety, the immediacy of the moment, the joy of peace… all and more abound in In Their Own Words. 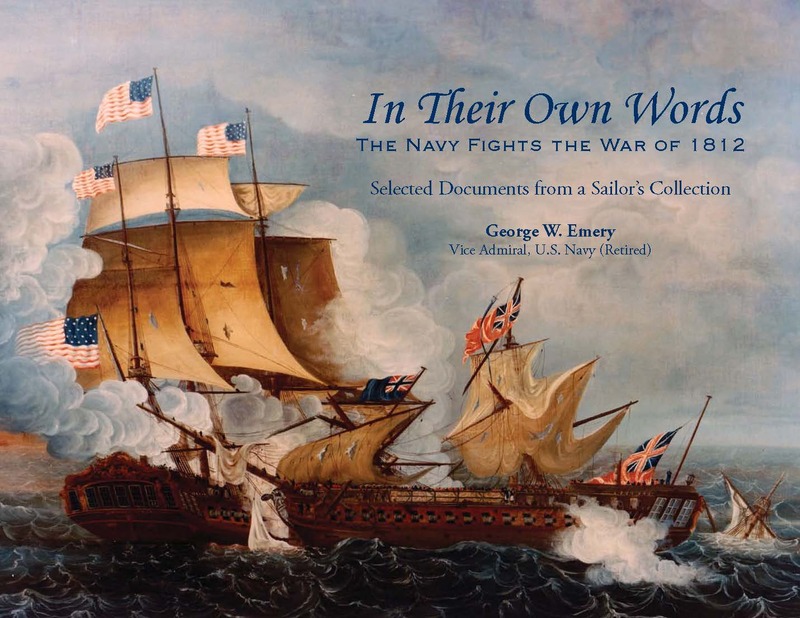 Whether encouraging peers, issuing orders to subordinates, lamenting a hero’s death or reporting a glorious frigate action, these emotions spring from the stirring contemporary letters, newspapers and broadsides of the War of 1812 assiduously assembled and presented by Vice Admiral George W. Emery, USN (Retired). Arranged to carry the reader chronologically from pre-war preparations to post-war celebration by way of the words of contemporary pens and printing presses, these selected documents from Admiral Emery’s collection of early naval Americana bring the naval challenges, successes and disappointments of the war at sea to life sans interpretational bias. 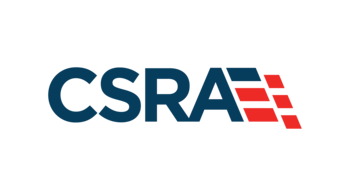 In Their Own Words can be ordered online from the US Navy Museum Store at this link. George: Congratulations on your new publication and very timely for the War of 1812 Bicentennial. I look forward to reading through your selected documents. 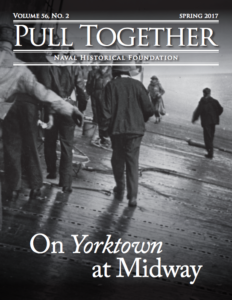 By the way, I am now working on a logistical history of the Navy’s war effort. Here, too, there will be a need to be selective. Best regards, Bill. George–thank you for sharing this treasure of documents!